Last week, we saw reports of Apple slowing down the performance of older iPhones. Back then, Apple had provided a short statement to media stating it was doing this to protect devices with older batteries from suddenly shutting down. Obviously, that didn't go down so well with people who have had theories of Apple intentionally slowing down older iPhones, with multiple lawsuits being filed along with the hue and cry that comes with these sort of things. Today, Apple has released a full and formal statement regarding the situation surrounding the iPhone batteries and performance. After that, Apple took time to elaborate on how batteries age and what it has done to prevent the phone from shutting down. This is just a longer explanation of the statement Apple initially release. Basically, batteries get old and cannot provide peak energy loads, which causes the device to shut down. To prevent this, iOS 10.2.1 released in January 2017 will cap the performance of iPhone 6, iPhone 6 Plus, iPhone 6s, iPhone 6s Plus and iPhone SE when it detects a weak battery to prevent the device from shutting down. This feature was extended to the iPhone 7 and iPhone 7 Plus in iOS 11.2 released earlier this month. The important thing to realize is the performance cap is temporary and as soon as the aged battery is replaced the performance will go back to what it used to be. This also does not affect devices other than those mentioned above. None of them have this ability to cap performance depending on battery health. Since it essentially comes to the battery, Apple also announced that it will cut down the prices of out-of-warranty battery replacement from $79 to $29. This applies to iPhone 6 and newer devices, starting late January 2018 to December 2018, worldwide. Second, Apple will release an iOS update in early 2018 that will convey the health of the battery in the software to let users know if it is affecting their performance and if they need to replace it. Apple also said it is working on improving how it manages performance and unexpected shutdowns as batteries age. While it is good that Apple finally came clean with what it is doing and the drop in battery replacement cost is a nice touch, this whole thing could have been avoided if the company was better at communicating with its customers from the beginning. That part is entirely on Apple. Surely, Apple would have been aware of the conspiracy theories of it intentionally slowing down the performance of its older devices so people upgrade to newer ones, which doesn't even really apply in this case as this performance capping update came out in January 2017 and applies to a handful of iOS devices while the conspiracy theories are old as the iPhone itself. In such a situation Apple should have been extra vocal about what it is doing with performance on older devices. Sure, some people would have still complained but the overall result would have been better than current situation. 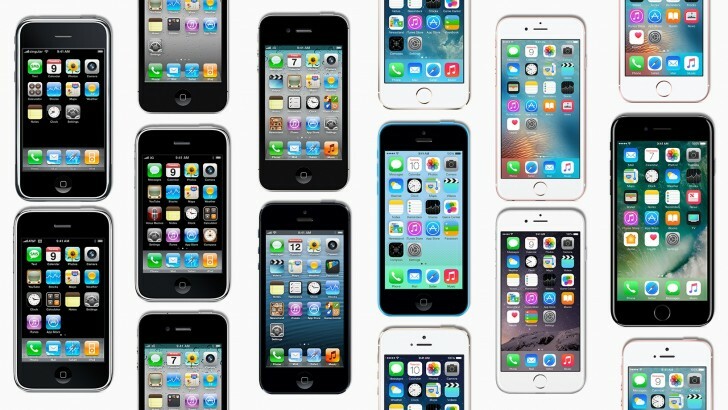 If you are an iPhone user, new or old, there are a few things worth remembering. If you have one of the aforementioned devices that feels slow, you could have a bad battery that needs replacing. Or, the reason your device is slow is just because it's old and old devices running new software are always going to be slow. It's the same reason why a four year old Android phone feels slow now or a ten year old computer feels slow running the latest version of Windows. It's because the software demands have outpaced the hardware, not because their makers have put a ticking time bomb in there. Second, and this shouldn't need explaining because it feels like common sense, but no company, Apple or otherwise, can benefit from making its devices worse. It just increases the likelihood of people switching to other brands when they upgrade, not to the brand that they think intentionally ruined the performance of their old device. Planned obsolescence might work in segments where there isn't a lot of competition and your customers have have no choice but to buy from you, but not in a segment as highly competitive as smartphones where every misstep can lose you customers. So maybe it's time to revisit this whole situation in your head from a rational perspective and see if all the fuss was worth it.